The 2017-18 cruise season to be the most successful ever for NSW with a record 350 cruise ships set to visit Sydney – including eight maiden voyages. Regional NSW will also benefit from the cruise boom as more ships than ever before visit destinations outside of Sydney. Eden and Port Kembla in particular have both seen a leap in cruise visits over recent years. Eden’s growth as a cruise destination is set to continue with 15 cruise ships due to visit the Sapphire Coast this season, up from 14 last year and eight the year before. Work is already underway to extend Eden’s multi-purpose wharf to accommodate the larger cruise ships which will make Eden an even more attractive cruise destination and will bring further economic benefit to the region. Newcastle is expected to receive 10 cruise ship visits this year, up from five last year, while Port Kembla will host two after receiving its first ever cruise ship last year. 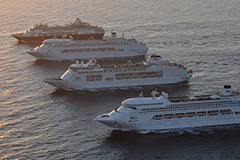 The cruise ship industry remains the fastest growing tourism sector in Australia – almost 1.3 million Australians go on a cruise each year – and cruise tourism’s contribution to the Australian economy is significant. 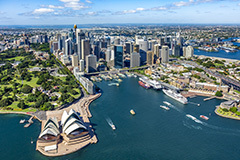 The latest statistics from the 2017 cruise industry market report by the Cruise Lines Industry Association shows that Australia’s cruise industry is worth $5.3 billion nationally – up 15.4 per cent on the previous year – with New South Wales again leading the way with 58 per cent of the market share. 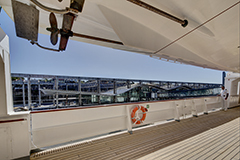 The two world-class cruise termiinals in Sydney Harbour can accommodate some of world’s newest and largest cruise ships — some of which bring up to 5000 passengers each. 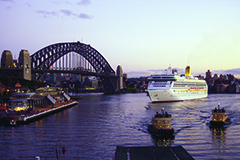 Over 1.5 million passengers are expected to be carried in and out of Sydney by cruise ship during the cruise season.